This nail brush is tough stuff. 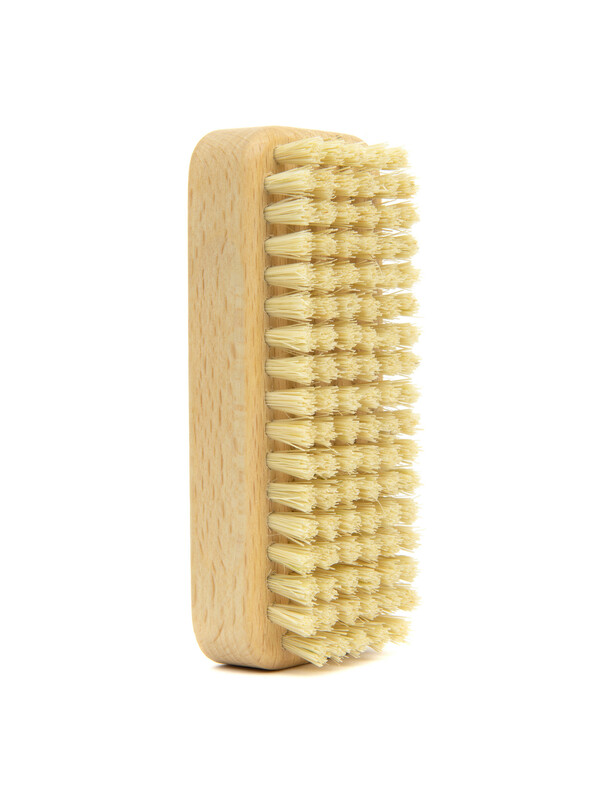 Packed tightly with short bristles, this is an ideal gift for those with working hands, like gardeners and mechanics. Made from FSC wood, it is 4" long with a groove on the side to hold firmly.